Here is a list of ten operas that covers many of my most treasured performances of all time. Everyone has their preferences but this list is perhaps of particular use to the beginner, who wishes to seek out the legendary performances. So it's not in preference order but how one might approach opera as a newcomer, slowly building up understanding and experience. I'm no wine connoisseur but I know great voices are like wines, you need to know the year as singers definitely peaked by a certain time. We all know for instance that any recording of Callas after 1960, will not do justice to her reputation. These recordings I consider to be special, in that they brought together many great voices at their peak. I hope the list proves of interest to beginners and "connoisseurs" alike. Perfect for a beginner as it's got it all really; beautiful music, a fun accessible story and truly great performers. I can't think of a better first opera for a beginner to cut their teeth. Classic Callas, so brilliant and moving and along side one of the greatest of all singers, the incomparable Tito Gobbi; a truly great actor with the voice of a god. No one lets the side down here, with the beautiful light tenor Luigi Alva, cast to perfection. This recording is an absolute gem. Time to throw oneself in the deep end with opera at it's grandest & most passionate. Remember, like the Bible, it is the message or spirit conveyed which matters far more than the story line or "vehicle". Mirella Freni and José Carreras are stunning together and Verdi offers us a truly magnificent feast of great music for a epic tale of love and confused loyalty. Supporting soloists are no less impressive with the great Ruggero Raimondi thrilling the ear. Ah, the year I was born! I make no apologies for my heavy preference for Verdi, the Michelangelo of opera. So many wonderful operas over so many years but he was also able to develop as fashions changed, for instance in the way he took on the revolution of Wagner. Here he brilliantly achieves the suffocating jealousies of Shakespeare's Othello. It's dark, it's atmospheric and utterly gripping. In this wonderful Karajan recording, we introduce Renata Tebaldi (the great alternative to Callas) and at her finest, along side a brooding Mario Del Monaco, the perfect role for him. Lest you think me obsessed with Verdi, here is a wonderful, vibrant opera by the great Amilcare Ponchielli. I know I could have chosen a recording by Callas but this is a great version with Montserrat Caballé and a certain Luciano Pavarotti at the height of their powers. Back to Verdi in an admittedly rather convoluted libretto but still a thrilling canvas for the lovely Sylvia Sass and with José Carreras in stunning form. A remarkable recent discovery of mine. I think the beginner is now ready for my great hero Franco Corelli. I admit not everyone loves Italian tenors, yet alone the robust force of a spinto but if you do, then Corelli at his greatest is perfection itself! And he's not alone here, matched by his regular singing companion Renata Tebaldi, his personal friend the great Ettore Bastiannini and not forgetting an electrifying Boris Christoff. I do love the rich timbre of the Russian/Bulgarian voice. A famous production that was made into a film; understandably when you consider the combination of great singing and good looks of the main protagonists. This is my favourite Mozart opera. This wonderful recording bristles with quality and is a complete joy throughout. I know, another Verdi but I'm perhaps keeping the best for last. This is an electrifying recording of matchless quality. Tito Gobbi's singing illustrates why he became such a legend. I am always so inspired by the perfect quality & strength of his voice and the subtly of his acting. Here he's not with Callas but the quite remarkable Elena Suliotis. She was tipped as the next Callas & she certainly had the skill & passion but also an arguably more beautiful voice. Her performance is hauntingly edgy and so memorable. All the more moving that she died young, having over stretched her voice & therefore never met the great expectations hoped of her. 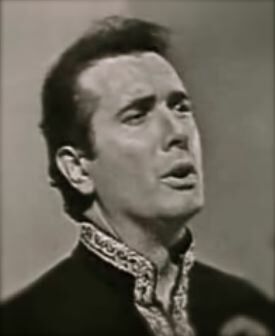 Then there is the tenor Bruno Prevedi. Again, expected to be a worthy successor to Corelli but never quite got off the ground. In my opinion, with him died the last of the spinto tenors, leaving us all the poorer for it. WARNING! This recording could result in addiction. I know it's not an opera but I wanted to finish on a perfect note. This recording is so acclaimed because the four soloists are perfectly matched and singing at their finest. Joan Sutherland who taught Pavarotti how to breath is stunning and of course this is surely the perfect role for Pavarotti, exploiting the sublime quality of his singing (and not requiring great acting). This recording is certainly sublime; at times there is nothing between the pitch of Marilyn Horne and Pavarotti. I hope to hear this music on my way to heaven!